Canon releases the world’s smallest HDD based HD camcorder, Now you can shoot professional-looking video straight to a hard drive on your camera for easy transfer to a computer for editing. Unlike Compression schemes from Sony and Panasonic, Canon’s implementation of AVCHD uses VBR compression, allowing complex scenes to have less compression applied than simple scenes. 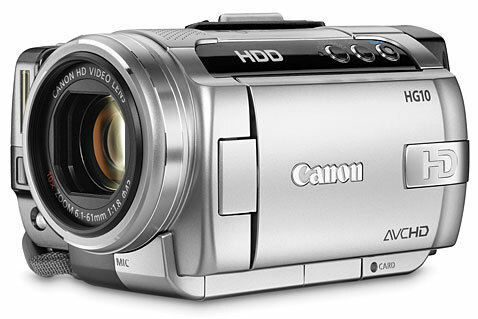 Canon says the HG10 will be priced at $1299, and will ship in early October in the United States.